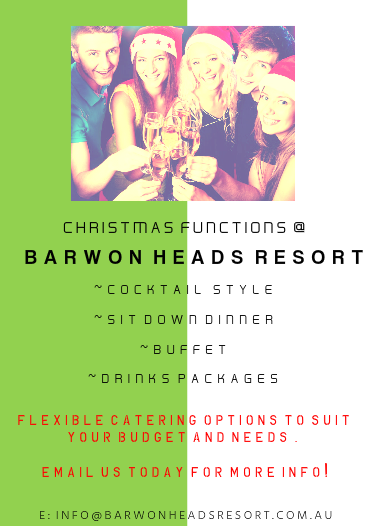 Christmas is a magical time, and Barwon Heads Resort can add that extra sparkle to your day. Whether you are throwing an end of year party or want someone else to cook on the day, we can help. We can host your Christmas Party breakfast, lunch or dinner and offer flexible options to suit your budget and requirements. For more information on menus and Christmas-themed events, enquire today. Contact our friendly staff with the requirements for your next function or event and we will help you plan it all for you.